Mt. 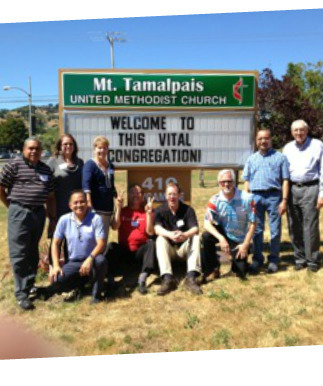 Tam Church celebrates being a Reconciling Congregation, a program for United Methodist churches that proudly and openly welcomes people of all gender identities and sexual orientations. We rejoice that we invite and welcome people of every age, racial or ethnic background, nationality, physical or mental ability, education, marital or socioeconomic status, sexual and gender identity into full participation in the life of this faith community. 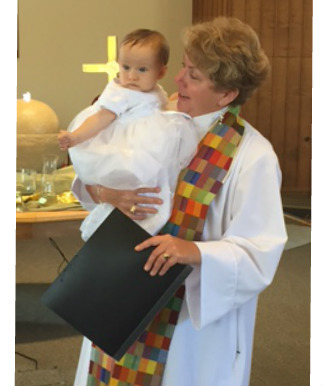 We affirm our belief that we are all God's beloved children, that our committed, loving relationships are pleasing to God and all families that grow out of these relationships are a blessing from God. We invite all people to join us in our faith journey toward greater love, understanding and mutual respect. We joyfully celebrate this opportunity to openly and publicly state our welcome to all, a long-standing tradition and practice at Mt. Tam Church.